Australian Gold Gentlemen Line is totally dedicated to men's skin and its needs. All Gentlemen Line intensifiers and after-sun creams are enriched with Coconut Water, Antioxidant Vitamins and the exclusive CellActive complex, that has been specifically studied to provide a constant hydration. 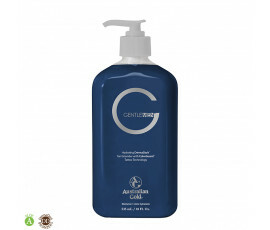 Australian Gold Gentlemen Line products leave men's skin well-protected and amazingly tanned. Do not forget to protect the tattoos too: preserve their beauty and colours thanks to ColorGuard technology.